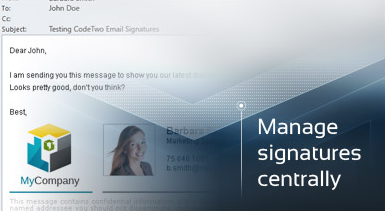 Today marks the roll-out of our totally new product – CodeTwo Email Signatures. 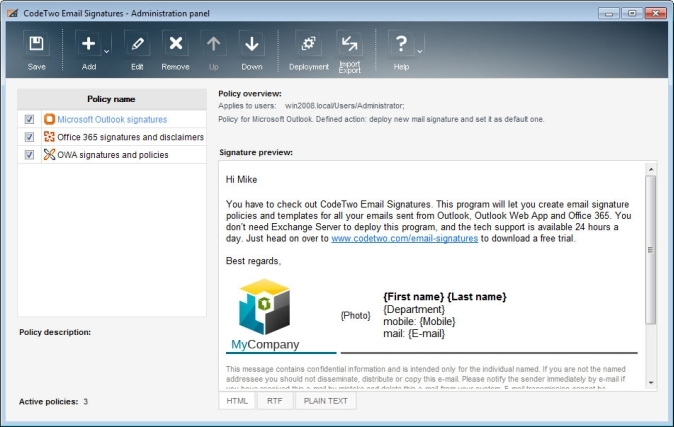 The program answers the need for an email signature and disclaimer manager that automatically adds personalized signatures to messages sent from Office 365, any version of Microsoft Outlook and Outlook Web App (OWA). The application supports Exchange OWA, letting you bypass Hub Transport rules and deploy global email footers directly to OWA settings of each user. In fact, you do not even need Exchange Server as you can do it also for Outlook 2013, 2010, 2007 (an older) hooked up to any kind of account, and for Office 365 users as well. 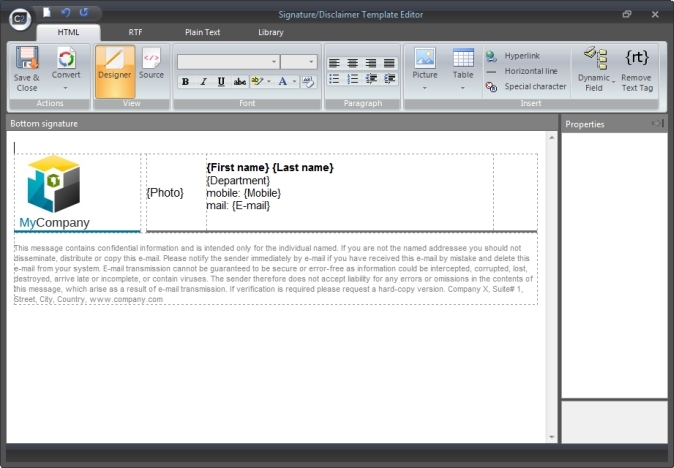 With just a few clicks in a signature creation wizard, you can compose a template with users’ data, colors and graphics and create an email policy for the entire company, department or specific users. 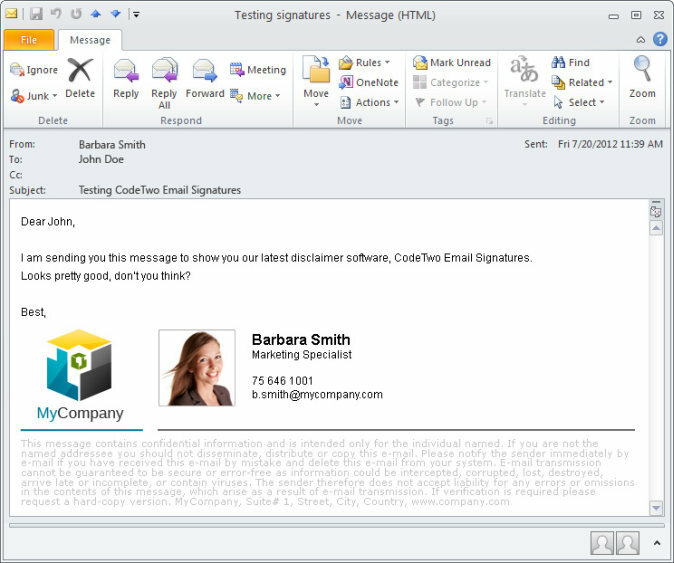 CodeTwo Email Signatures comes as a 30-day trial, full-featured version. Prices for the product start at $102 for 10 licenses and you can buy even packs for 1000 users or more. As usually, we are open to any remarks and comments – we will certainly respond to them. Feel free to download this product and test in your environment. 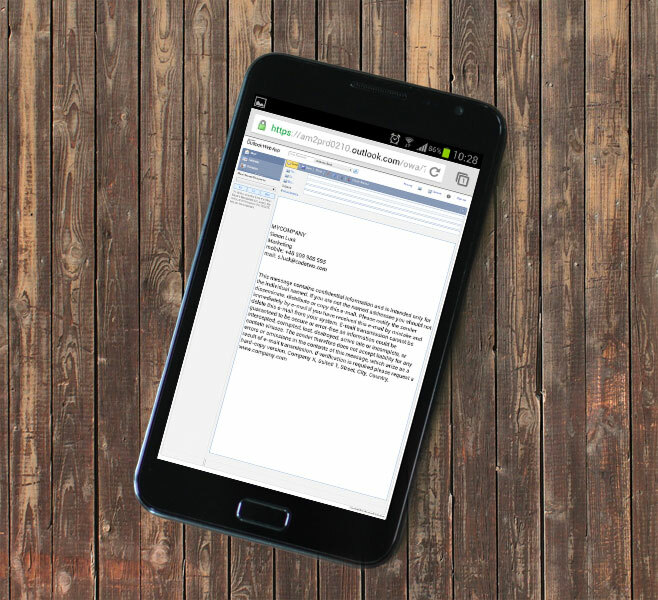 When will you have HTML signatures for mobile devices?